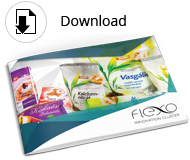 The Flexo Innovation Cluster was founded by six Hungarian-owned dynamically developing enterprises with the aim to provide full range of paper and plastic based packaging solutions, mainly for its partners who produce and distribute fast moving consumer goods. The Cluster members -specialized in manufacturing of packaging materials – are capable to take advantage of the cooperation in common technology and flexo printing to which solid technical background and continuous innovation are ensured by machine production within the Cluster. Constant changes of market requirements encourage members to renew and expand technology related to flexographic printing. In addition to the headquarters in Budapest, there is production at six separate plants that are located near the western, southern and eastern boarders ensuring fast service in all directions. The turnover of the group exceeded EUR 20 million in 2013. A significant part of that came from sale outside Hungary and the number of employees reached 250 people.